I was driving thru town today and they were doing a crapload of construction at this intersection. I think they were doing something with pipes under the ground and replacing traffic lights. Whatever they were doing they were making a real mess. Lanes closed, orange cones making zig zagging lines, mounds of dirt and equipment on the sidewalks. So I’m sitting in the long line of cars waiting to go. As I’m sitting I see a man walk out of the dry cleaners. He stopped outside the door and was fumbling with something on his shirt or jacket that he just got back. After about a minute he pulls out a cane and starts walking. He was blind. 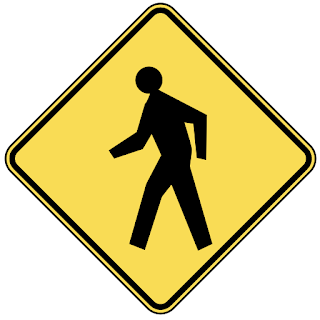 In my little town I haven’t seen many blind people walking around before, so I was a bit intrigued. I started to wonder if blind people are aware when people stare at them? I felt bad for watching the guy, like I might be adding another issue to his already full plate. 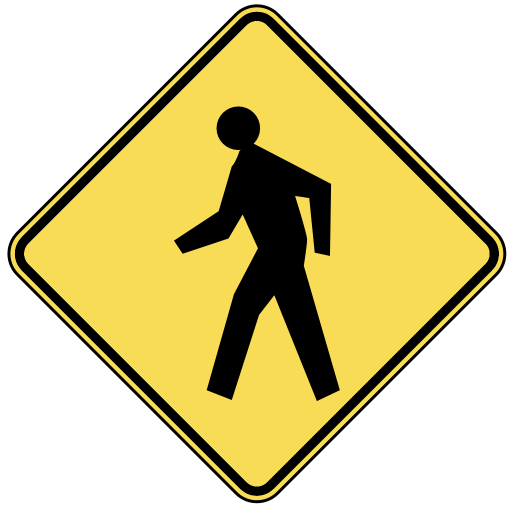 But I put him into the category as a pedestrian I had to be aware of to alleviate my guilt. So I was watching him walk to the intersection ahead. He was kinda sweeping his cane in front of him to make sure his path was clear. He started to come up to all the dirt and traffic cones laying on the corner. His cane hit into them and he started moving real slow, trying to navigate thru them. At that point my line was starting to move. I was crawling real slow so I could see if the guy would be able to get across the street. Just as I got up to the intersection a bicycle cop walked across the street from the opposite side to help the blind guy. As soon as I saw someone was going to help the blind guy, I really felt good. Almost like a rush of relief that there is still some kindness left in the world. Then after a minute of feeling good, I felt really guilty. It must be a real struggle for this guy to walk by himself to the dry cleaners. Nothing easy for this poor guy and I’m guessing if the cop didn’t come to help him, he would have had to manage to get across the street all by himself. Just thinking about this made me feel guilty for my insignificant gripes about such mundane crap. I really have no idea how hard life can be. John Lennon, Mark David Chapman & An Autograph….